After leaving exotic Istanbul, we headed to Jordan! One of our top priorities here was to take a dip in the Dead Sea. We wanted to see if all of the hype was really true. Could we, indeed, float on the surface of the Dead Sea without any floatation devices? While we believed this might be true, we had yet to verify this claim. We were extremely curious to discover the truth as well as experience this strange phenomenon for ourselves. It’s actually TRUE!! I don’t think we could have sunk to the bottom if we had wanted to. Trust me, some of us tried, but I won’t mention which ones. Suffice it to say they weren’t the oldest or youngest in the family. 1. Be mindful of any open cuts! 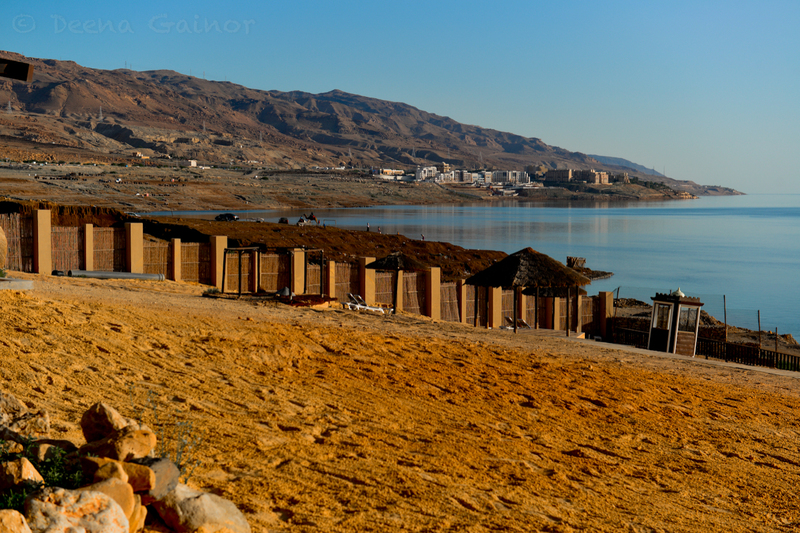 The Dead Sea has a high concentration of salt, and open cuts will surely feel a burning sting. 2. Do NOT submerge your face. 3. If you choose to forgo the sage advice from #2, then please, do NOT open your eyes while submerged. My son, Ryan, found this out the very hard way. I’m not sure what he was thinking, but I doubt he will ever do that again. The stinging was extremely painful for him and lasted for quite a while. It didn’t stop him from enjoying the floating experience, but I’m sure he could have done without the burning sensation. Thankfully, they had showers nearby, so he was able to quickly flush out the offending saline solution. 4. Refrain from tasting the salt water. I assumed the water would taste super salty but good. Nope! I was wrong. It’s actually quite bitter and tasted similar to what I imagine chemicals must taste like. It was quite disgusting. (And sorry if you disagree). Floating in the Dead Sea was most definitely a unique experience. I love that we got to do it with the kids, as it was really fun watching their reactions. It’s an experience I will not easily forget. ← Day 366: Time Flies…One Year Already! I did a very similar post on my experience at the Dead Sea! Agree re shaving your legs – ouch!! Yes…the boys felt every little cut! I just read yours. I didn’t know about the 20 minute maximum! That’s a good thing to know. But…I loved the mud! !